Please get your favorite photos together on CD and contact web@shga.com to have a gallery made. The pilot trading cards are back! Created by Mark Neisser, these have raised some of our lucky pilots to legendary status. Click here to view them. Construction on our new pavilion is complete! Photos by Sebastian Lutges. Photos by Caitlin Benti Szalai of Rome Dodson's last flight (or so he claims) at age 83 or so, and after 44 years of hang gliding. Photos and the after-math from the Hike Bike and Fly event, where a dozen SHGA members did their best to complete the event. In the end, no flying was done and the suburban broke down. Good eats in the end and drinks helped keep everyone in good spirits. The event was coordinated by Hungary Joe. Photos from the condor microtrash cleanup event, where a dozen SHGA members joined the Community Hiking Club to pick up broken glass and other debris along the Santa Clara Truck Trail to Magic Mountain. The event was coordinated by Dianne Erskine-Hellrigel. Photos from the Spring Air Festival / Community Appreciation Day taken by Richard Cooper, a friend of Lisa Wendt. Coordinated as a Sylmar Chamber of Commerce mixer, several active community members were present as well. Photos from the 2007 Yosemite trip, taken by Andrew Tang and provided by Grant Hoag. Gazebo design by Hiro Matsunaga, with three dimensional drawings by Jesse Benson. Organized by Joseph Vandertol, many SHGA pilots dug ditches and filled sandbags to fight erosion threatening the Kagel Road. Photos by Christian Williams. Thanks to Richard Seymour (a.k.a. Cabbagehead), this was an opportunity to recognize the instructors who bring new students into our sport, fly a Bamboo Batso among other gliders, and have a great time. Photos by Malury Silberman. Over the Fourth of July weekend a large group of pilots, most from Sylmar, logged a lot of flights and cross country miles from the Hurricane ridge and from Graff Point, in Utah. Trip coordinated by Grant Hoag; photos by Vrezh Tumanyan. On May 6, 2006, Jose Lopez and Claudinette were married at the Sylmar flight park after flying in from Kagel. Photos by Vrezh Tumanyan. On October 22, 2005, The Sylmar Hang Gliding Association (SHGA) invested some work with shovels and sandbags to protect our road to launch from erosion during the upcoming rainy season. Photos by Larry Chamblee. On May 14, 2005, The Sylmar Hang Gliding Association (SHGA) celebrated the end of the historic, torrential rain season (2004/05). Aerial photos of our LZ by Will Ramsey on Saturday afternoon, October 18. We had a work party that morning to clean up damage and improve our LZ after the forest fire burned around it on October 13, 2008. Several dedicated pilots are still at work in these photos. Photos collected by Malury Silberman from the Mount Wilson web camera. 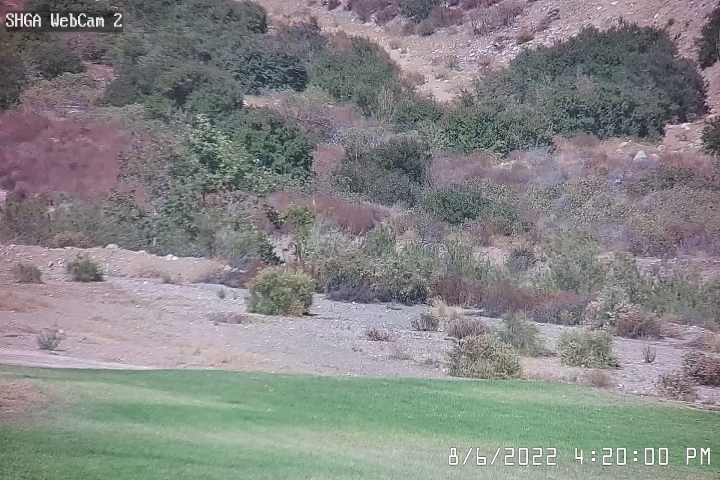 Look carefully to find a soaring hawk, and the Griffith Park Fire (May 8-10, 2007), and check http://www.astro.ucla.edu/~obs/towercam.htm for a current view! Lots of photos from Sebastian Lutges, including a cloud day at Kagel with Andy and Phill (February 11, 2007), and a Santa Barbara trip with Greg Jones (March 4, 2007). Hadi Golian is expected to become a Sylmar paraglider instructor soon! These are some of his images from Torrey Pines, while flying with some Sylmar hang glider pilots. A collection of (mostly) paragliding photos from Hadi Golian. These are from Palos Verdes on 1/27/06, Marshall on 1/28/06, Torrey Pines on 1/29/06, and Santa Barbara's Alternator launch on 2/12/06. Miscellaneous images from Kagel, Crestline, Big Sur, La Salina, Lake Elsinore, Black Hawk, Garlock, Dockweiler Beach, and Stanwell Park. Pictures from 2004-2005: Kagel, La Salina, and Big Sur. Great photos from Grant's trips to The Owens Valley, Yosemite, and Hurricane Ridge. Video from the 2007 Yosemite trip, taken by Andrew Tang and provided by Grant Hoag. (6.8 Mbytes) Click Here. Another video from the 2007 Yosemite trip, taken by Andrew Tang and provided by Grant Hoag. (9.3 MBytes) Click Here. Helicopter water drop. (9.4 Mbytes) Click Here.